Step1. 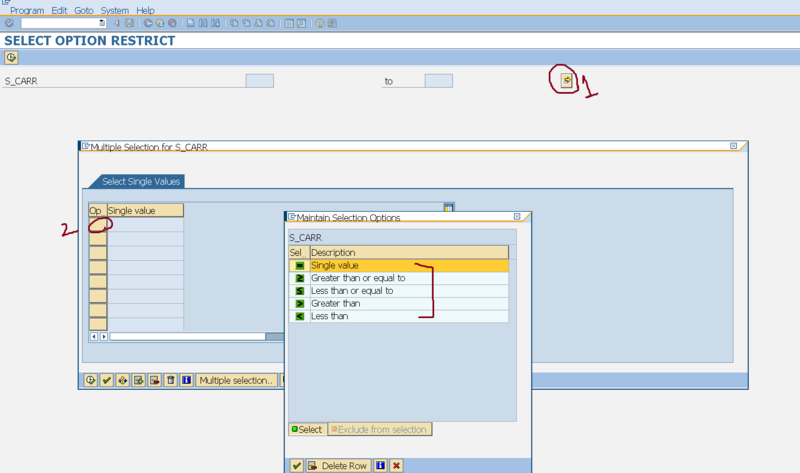 Create a select option and execute the program. Step2. So here in the selection scree, we have the lower and higher limit with lot ,ore options. Press the arrow button. Step3. 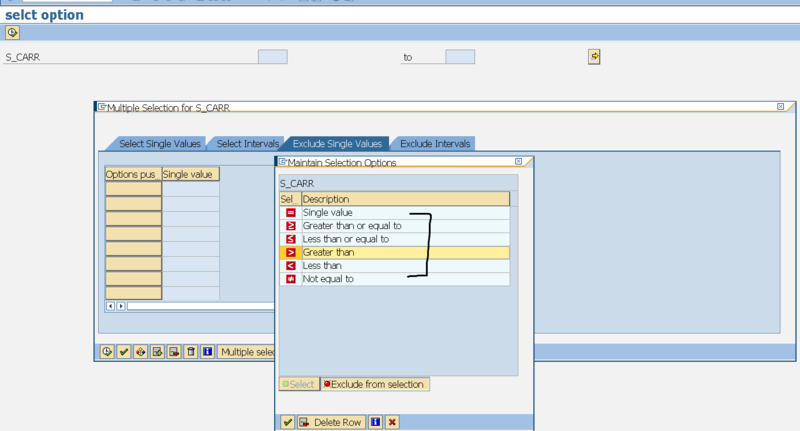 Here we have four sections each provide their respective options to choose the single value or interval or skip the single value or interval. Step4. 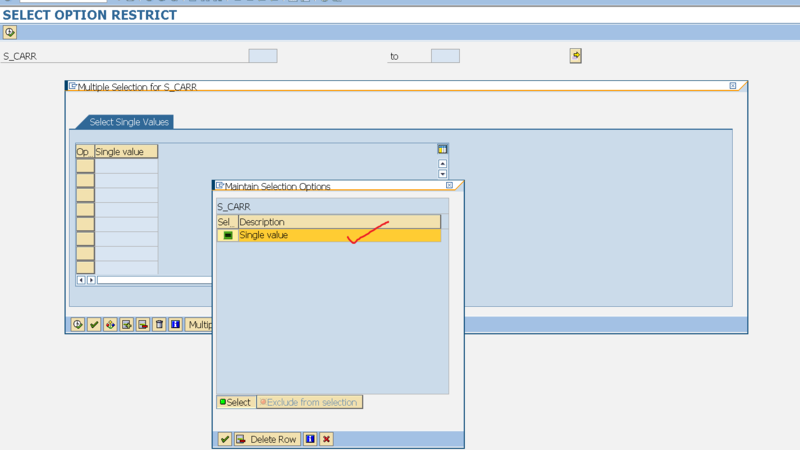 For single value we have the following options. Step5. To exclude some values. Step6. We have the set of possible options. Step7. 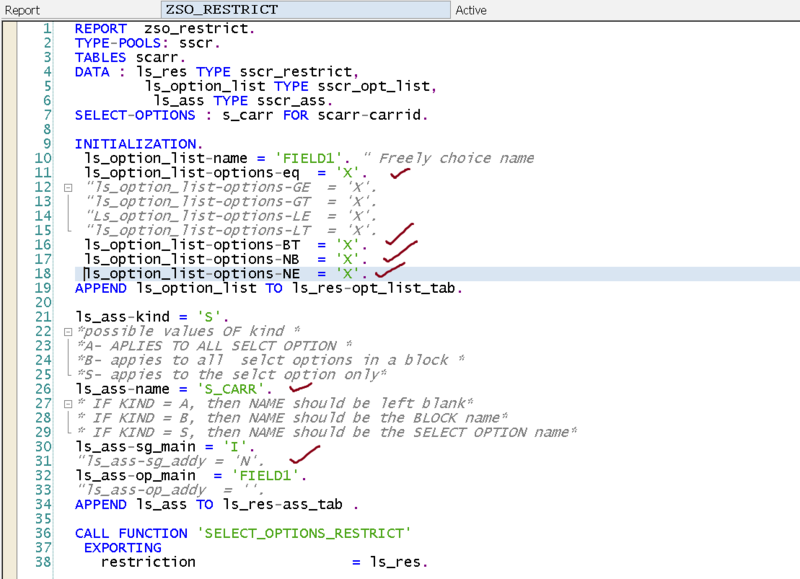 Now as per need we might need to control all this options that are coming by standard. 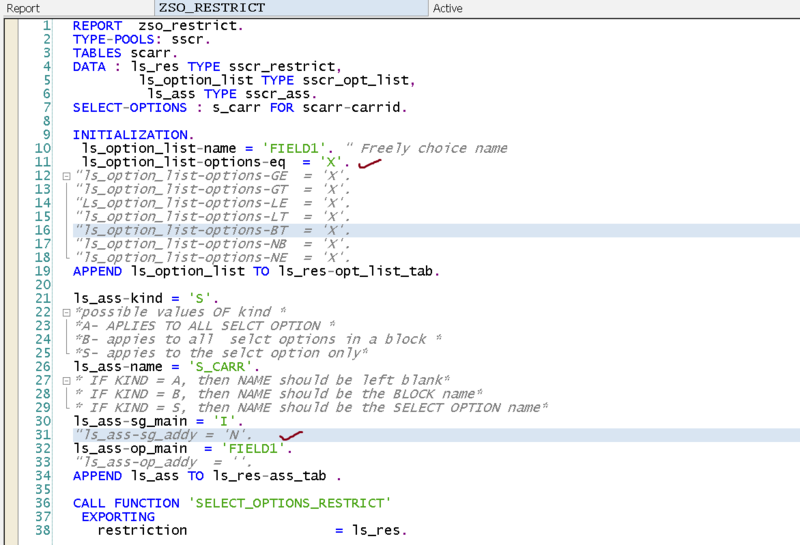 The standard FM SELECT_OPTIONS_RESTRICT can provide all those options we may need. and it has to be called in the INITIALIZATION event of the program. 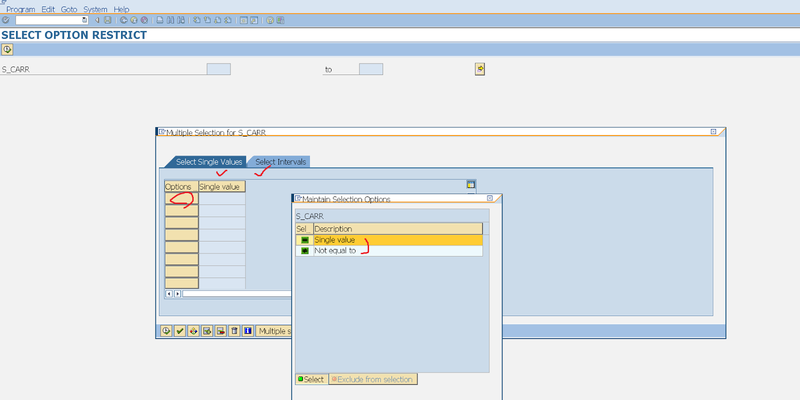 So here we have just enable the option EQ . 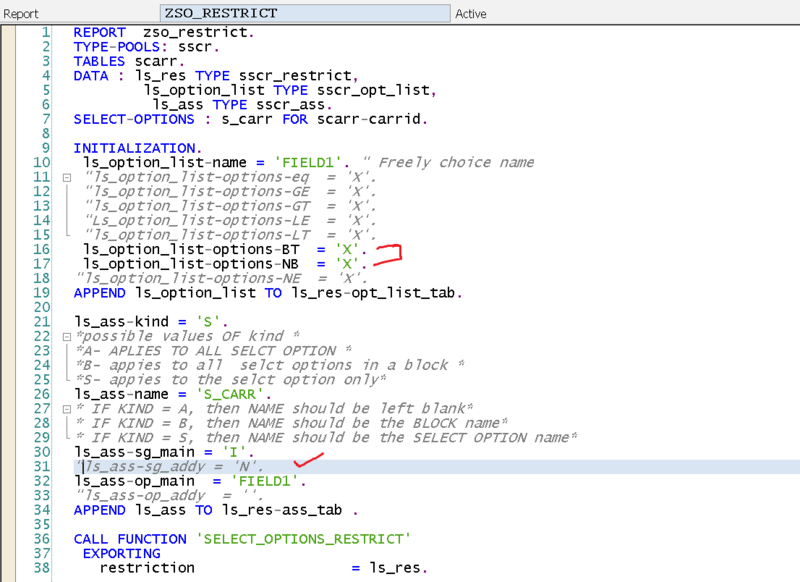 Look at the parameter LS_ASS-SG_ADDY = N . This play a vital role.This controls if the extension ( => ) would appear or not. Execute the program. Step8. 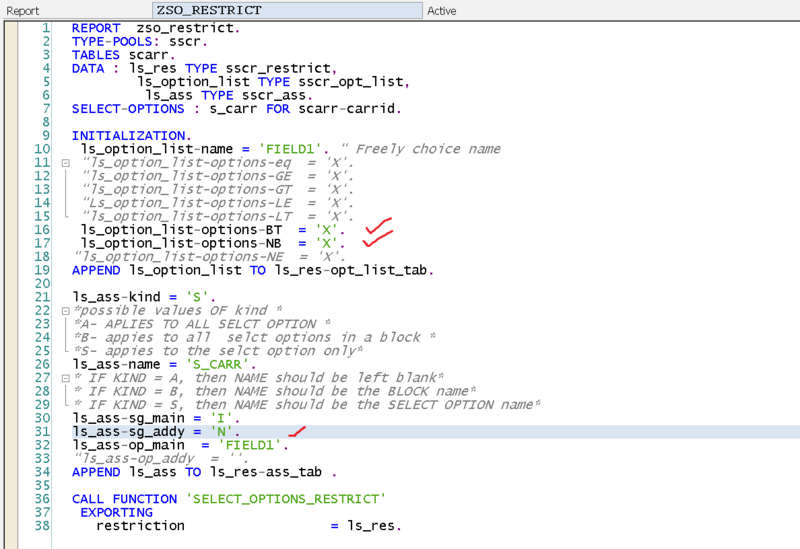 As we have enabled only for EQ , we don’t see the interval and LS_ASS-SG_ADDY = N suppressed the extension button. Step9. 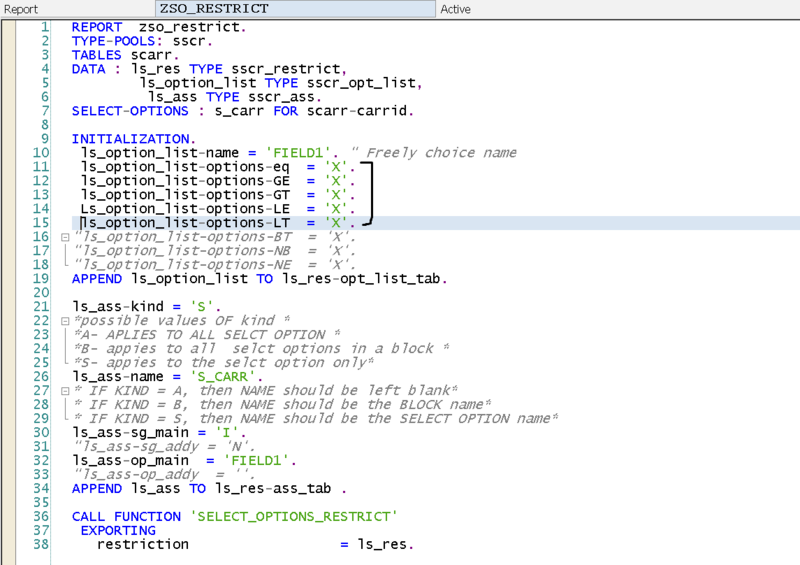 Again run the program with LS_ASS-SG_ADDY = N as commented. Step10. Now the extension button appears. Click on it. Step11. We have only the single tad appearing. Step12. With the only option as EQ. Step13. 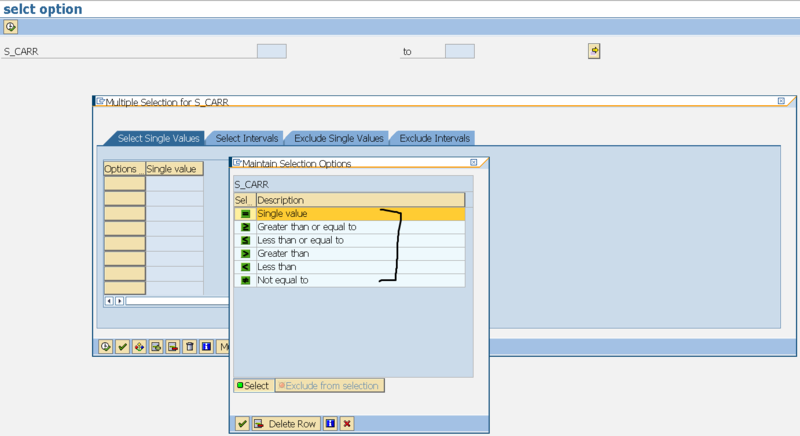 In the program enable the options like – EQ, GE,GT,LE,LT & run it. Step14. Here we can find all the activated options. Step15. 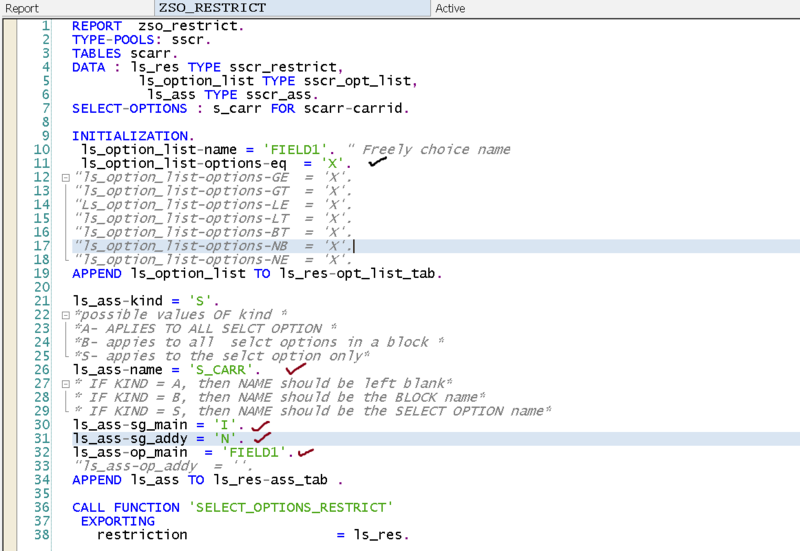 This time ebable the options BT & LS_ASS-SG_ADDY = N . Run the program. Step16. Here we can see we have the intervals with no extension button. Step17. Go and make LS_ASS-SG_ADDY = N as commented. Step18. Here we have the range appears. Step19. This time enable all the options. Step20. So here we have two tabs with respective options available.